Okay, last dessert of the season. 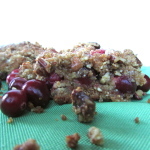 I have been dreaming about a cranberry white chocolate bar (one of my favorite combos, check out my cranberry white chocolate scone recipe). I tried to find something but didn’t have any luck, so I knew I’d be in the kitchen trying to figure out how to make something. Holiday note from a blogger: taste test one, bring the rest to your co-workers. One of my co-workers said this was the best dessert I’ve made so far! How’s that for a compliment?! That’s how to avoid those extra holiday pounds! I’ve lost 10 pounds since Thanksgiving (with 30 more baby weight pounds to go), but I had to start somewhere. I haven’t been able to work out much, but eating a clean diet and watching macros has really helped a lot. How are you all doing with the holiday bulge? Are any of you out there planning on going on a pretty strict diet after the holidays? Whole 30 or anything? 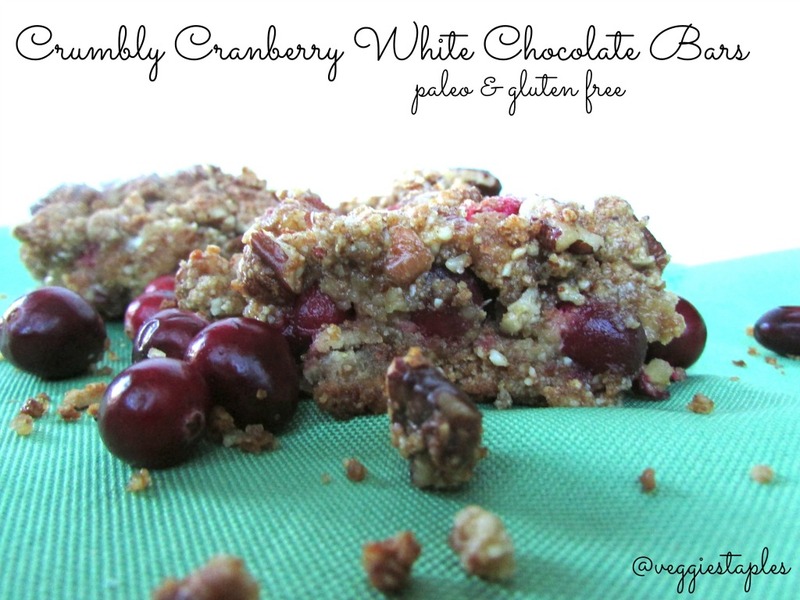 Well these cranberry white chocolate bars are of course paleo and gluten free, refined sugar free too. A little bit indulgent, but it’s the holidays, right? Enjoy! And Happy Holidays & Happy New Year to you and your loved ones! Grease and flour a 9”x 13”x 2” baking pan. 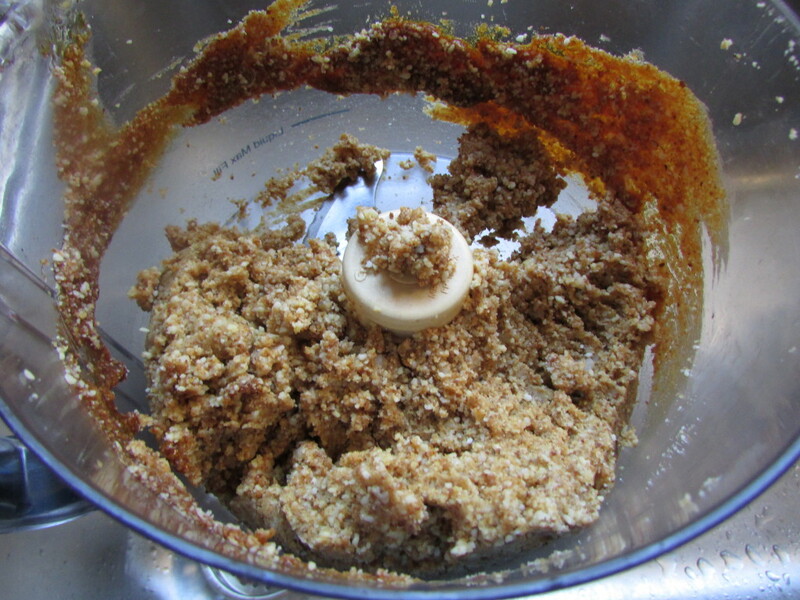 Place crumble mixture ingredients in the food processor, pulsing several times until mixture is crumbly. Remove 1 cup of mixture and mix with pecans, forming small clumps with your fingers. Refrigerate until needed. 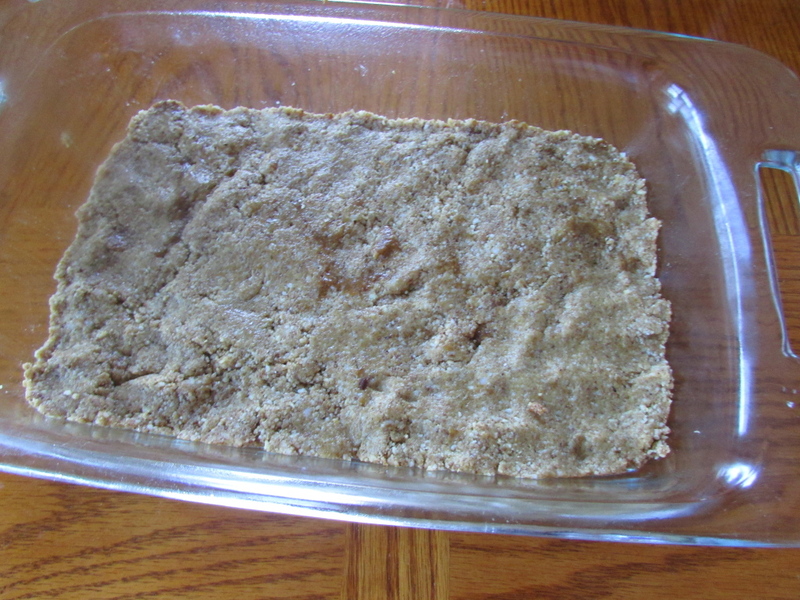 Press remaining crust mixture firmly and evenly into bottom of prepared pan. Bake 15 minutes. Then, set aside to cool slightly. Place coconut sugar, eggs, and lemon juice in a mixing bowl. Pour filling mixture over partially cooled crust. Spread evenly. 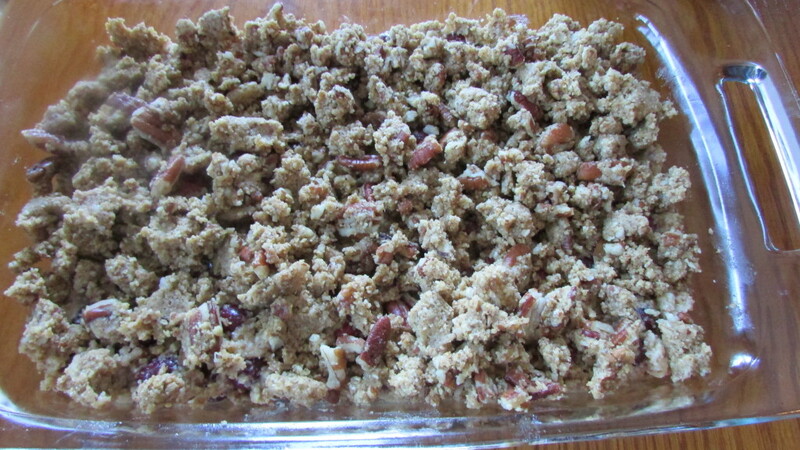 Scatter reserved crumb topping over filling. Bake 40 to 45 minutes, or until edges are brown and filling is set.